Gorgeous .925 silver bracelet with a symbol of Ininity: the symbol of infinite love and infinite friendship. For now and forever! Luxury finished with 13 sparkling CZ stones. Luxury wrapped, as ready for gift giving. Wonderful cool bracelet by-and-by in sterling silver "Tiffany Style". 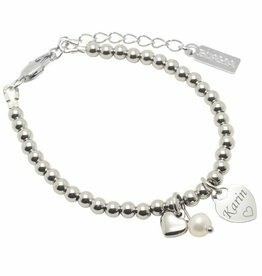 The silver graveerbedel (name, date or word) and freshwater pearl + small silver heart even more personal! Beautiful hand-engraved necklace 'Circle of Live'. We engrave your child's name and place a beautiful birthstone of your choice! Special and unique gift. One for mama, and a precious daughter. Two .925 silver bracelets that symbolize your band. By-and-by sterling silver, so it will stay beautiful. Beautiful silver necklace, with two birth stones. 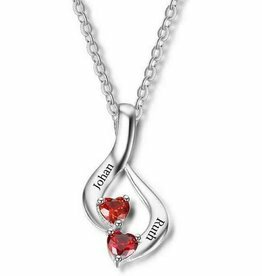 The necklace is made of 925 sterling silver and has room for two names or words of your choice. 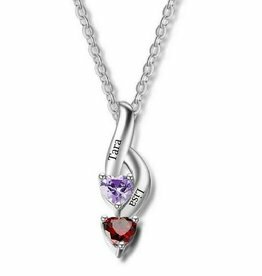 The heart-shaped birthstones, complete the chain! One for mom and one for daughter sweet. 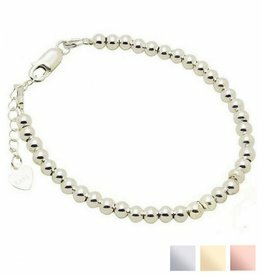 Carry along this .925 silver bracelets that symbolize your band. Luxury finished with 13 glittering zirconia stones and beautifully packaged in a gift box. By-and-by sterling silver. 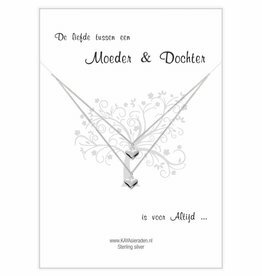 Beautiful gift box with a silver chain. The showpiece is the moon charms with sparkling star. All made of real silver (.925) and nicely packed with greeting card, as ready to give a present. Silver necklace with two heart-shaped birth stones. 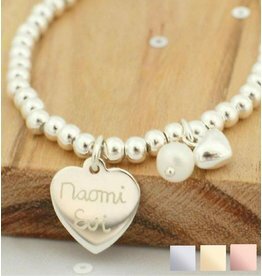 The necklace is made of 925 sterling silver and has room for two names or words of your choice. The heart-shaped birthstones, complete the chain! 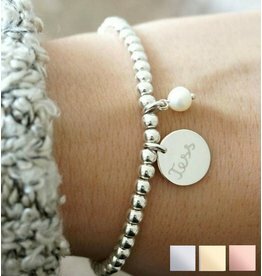 Gorgeous .925 silver bracelet with a symbol of Ininity: the symbol of infinite love and infinite friendship with your sister. For now and forever! Two sweet hearts shine your meeting, symbolic of the most beautiful bond between mother and daughter. So you wear each other's symbolic heart, how sweet is that? Through-and-through silver, forever beautiful! Gorgeous .925 silver bracelets to confirm your band ... to infinity and beyond! Luxury finished with 13 sparkling CZ stones. By-and-by sterling silver, forever beautiful. And of course, nicely wrapped in silk pouches.